Working for a Cat dealer means working with the best in the business; whether you're interested in heavy equipment, on-highway trucks, marine engines or more, chances are there's a Cat dealership looking for you. Company Culture: As Family Owned Businesses, Cat Dealers place an emphasis on culture, where the team feels like family and puts you first. Compensation & Benefits: Enjoy all of the rewards that come with being a Cat Dealer Technician. Learning & Development: With educational programs and internships available, Cat Dealer Technicians are prepared problem solvers with a head start on a great career. Career Opportunities: In a fast pace environment, ongoing technical and leadership training means CAT Dealer Technicians follow exciting and fulfilling career paths. Family Owned Business: Means you know the owners and the owners know you, working for an organization where ownership want their employees to be happy as well as their families. 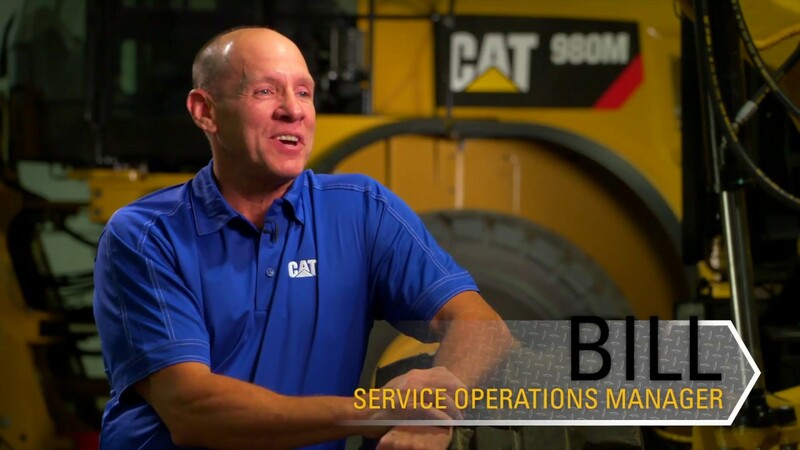 Technology: Cat Dealer Technicians have the unique opportunity to troubleshoot and repair industry leading machine and equipment technology – impacting the communities they live in. Skills Needed: It all starts with hard work and dedication – Cat Dealer Technicians are prepared problem solvers. Uniqueness of Work: Cat Dealer Technicians maintain and troubleshoot heavy equipment that has an impact on your local community. With several education options, you can receive the latest training without the heavy burden of 4-year student loans. Take advantage of the educational and job opportunities that are available right now by contacting a dealer to start your journey. As an advisor or teacher, students value your guidance. When you encourage mechanically inclined students with great problem solving skills to pursue a career as a Cat® dealer tech, you're helping them end up in careers that are a good match for their strengths. And you're setting them on a path that holds abundant opportunity. As a parent, you want your children to end up with a career that is a good match for their strengths. If your child is serious about working with the latest technology and has great problem solving skills, chances are good they'll be happy and successful as a Cat dealer tech. They'll not only avoid the debt often associated with a four-year degree, they'll have a solid career with opportunities to advance, working for a global brand. As you make the transition from the military to civilian life, you're looking for opportunities. If you're mechanically inclined and enjoy working with your head and your hands, a Cat® dealer can offer all that and more. As a Cat dealer tech, you'll get hands-on experience with some of the world's latest technology, a stable career, and earning potential. Caterpillar's ThinkBIG Technician Education program. Cat® dealers partner with colleges to teach you how to service Cat equipment.